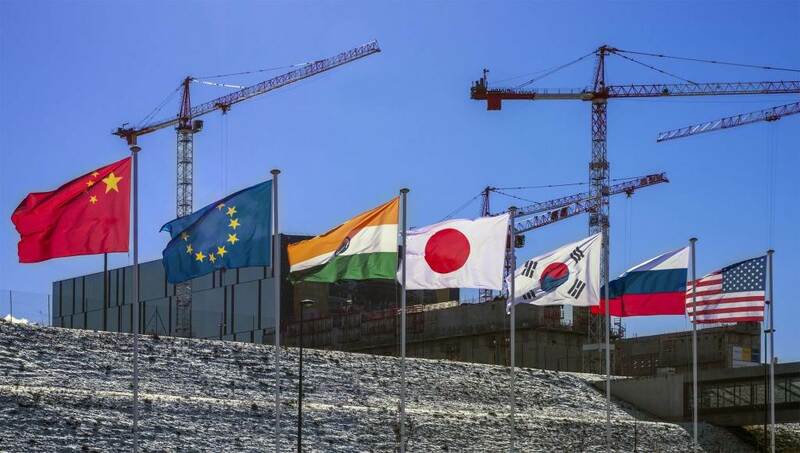 The flags of the seven ITER Members--China, the European Union, India, Japan, Korea, Russia and the United States--fly over the worksite on a cold, crisp day in January. Of the 40 openings in the bioshield there is one in this photo that seems to frame—and illuminate—the work underway. 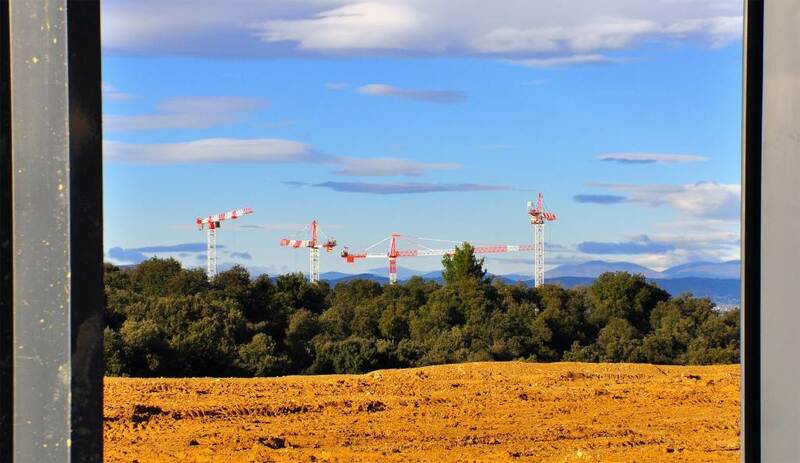 After weeks of perfectly azure skies, ITER presents itself in a ... more subdued colour range. 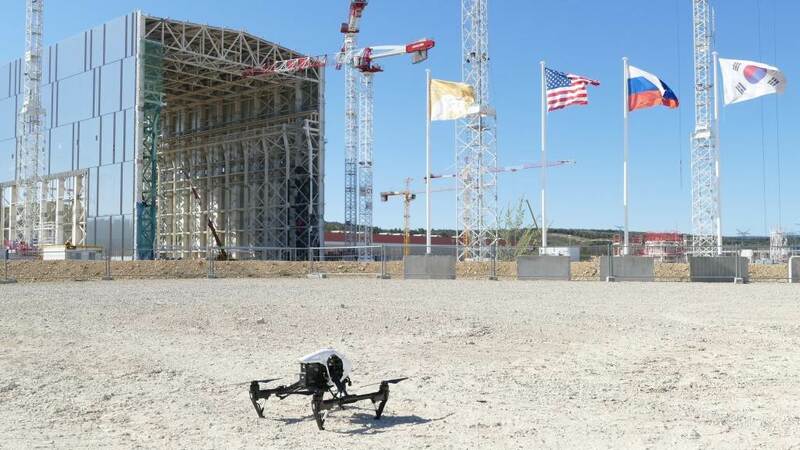 On five floors at ITER Headquarters, designers are designing, engineers are engineering and project managers are managing ... in English, even though approximately 30 languages are spoken at home by staff members. A long stretch of hot and dry weather in the southeast of France has resulted in a particularly high risk of brush fire. 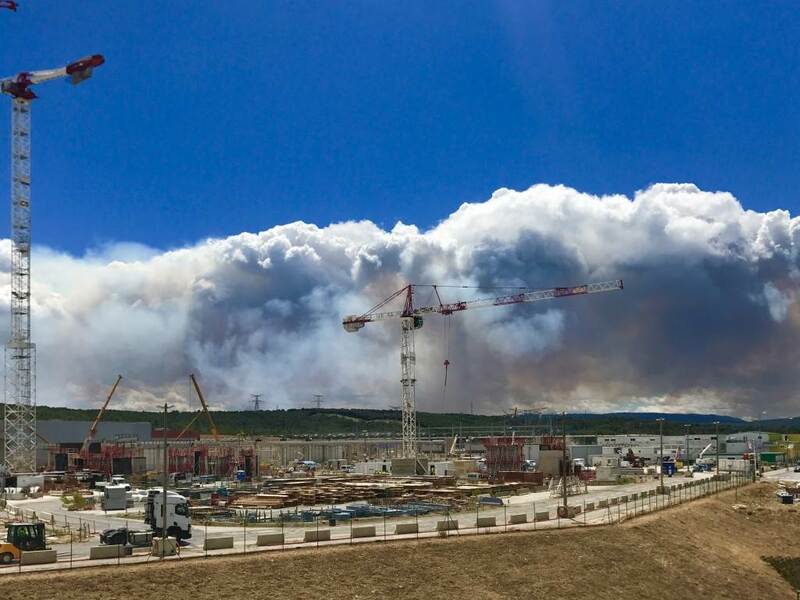 In late July, following several days of high wind, firefighters battled outbreaks in several zones near ITER. 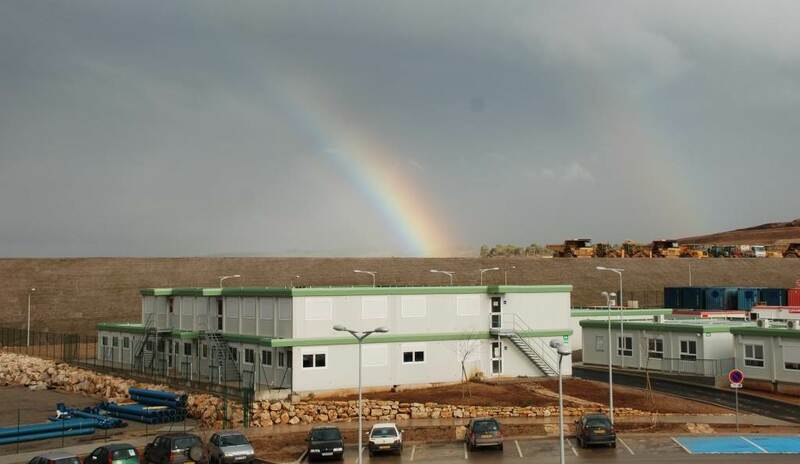 The resulting smoke was visible from the ITER offices. 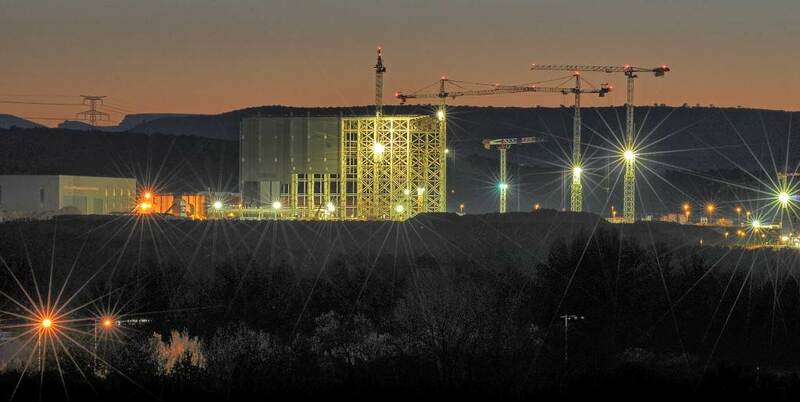 The Sun seems to recognize its kin in ITER, turning the ITER Assembly Hall into a perfect copy of its yellow and orange flames one evening as it sets in March. 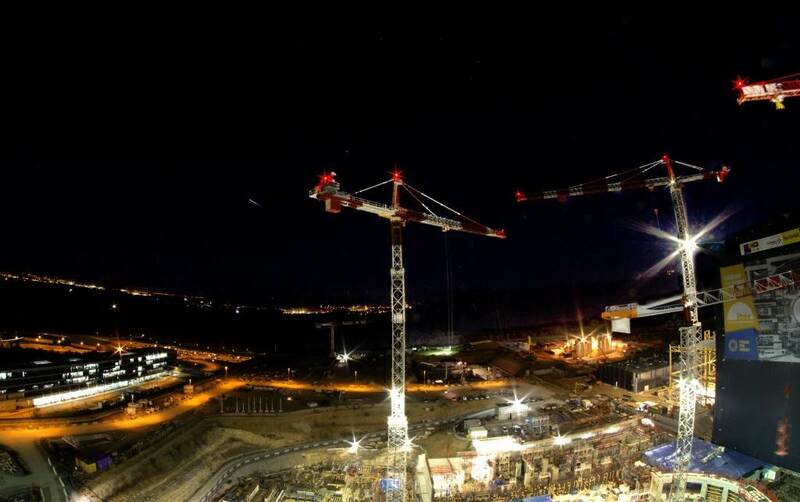 In January, ITER contractor Emmanuel Riche spent a couple of days capturing the construction site from above. 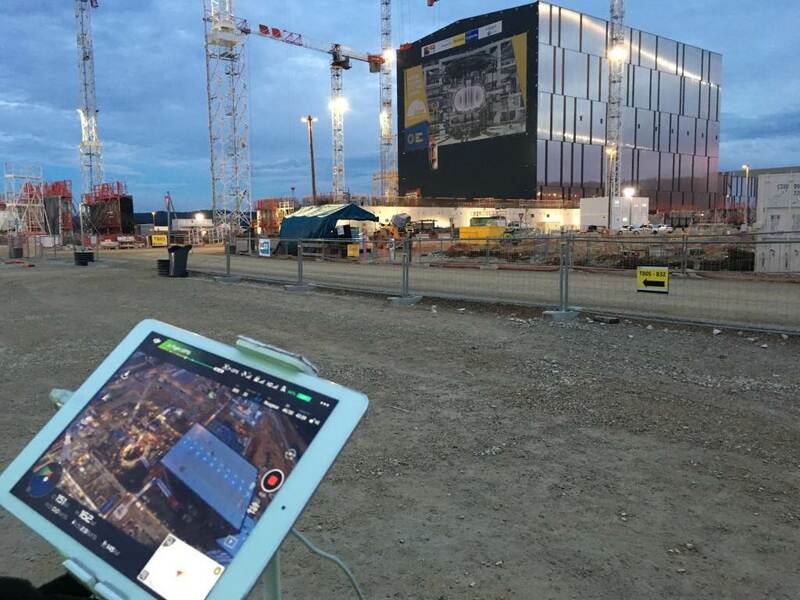 His photos and videos will be made available on the ITER website and in the new 360° tour that can be accessed from our homepage. 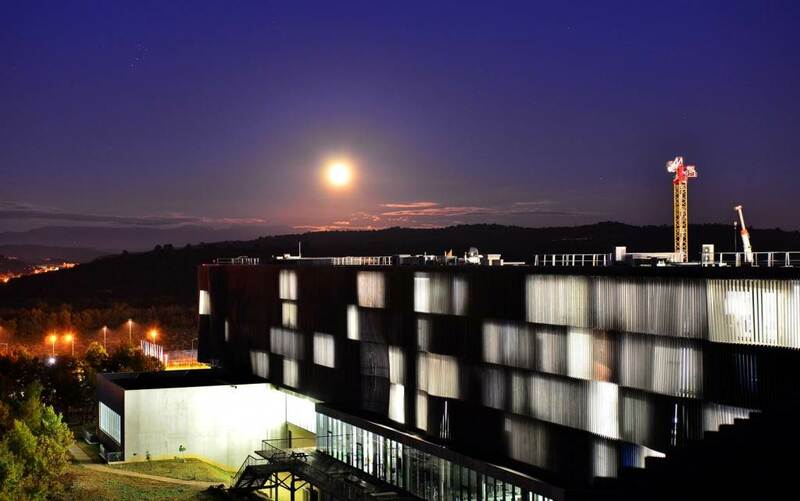 The 2016 "super moon" rises over ITER Headquarters on 14 November. 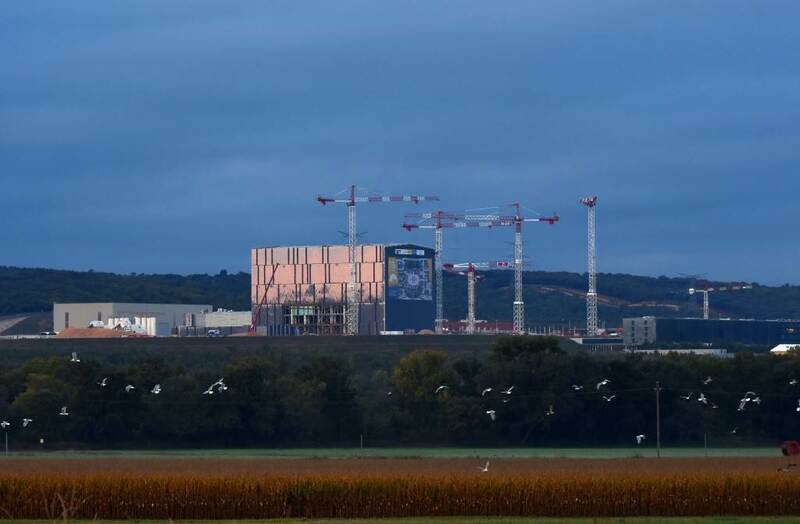 The early light is reflected in the tallest ITER building, in this shot taken from the cornfields of Vinon-sur-Verdon. 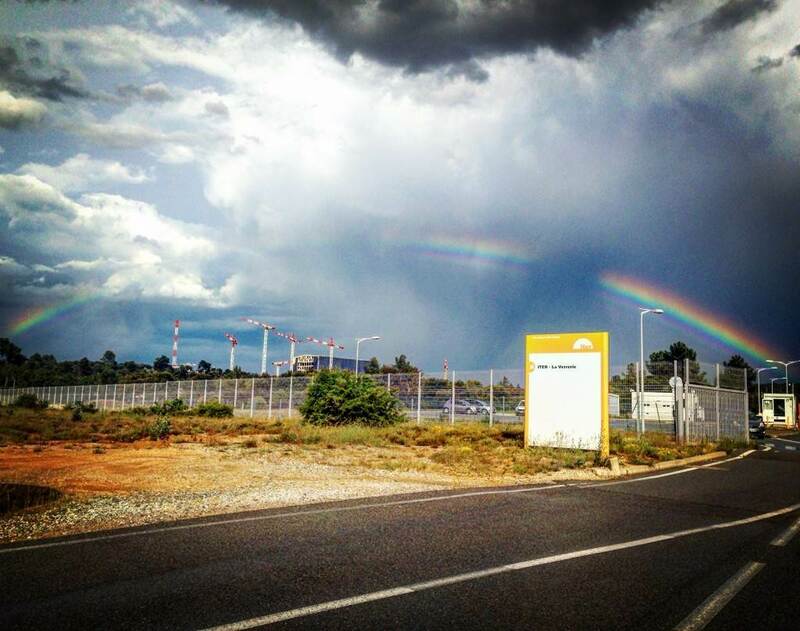 A fabulous rainbow appears over the ITER site on 7 June after a brief, but powerful thunderstorm. 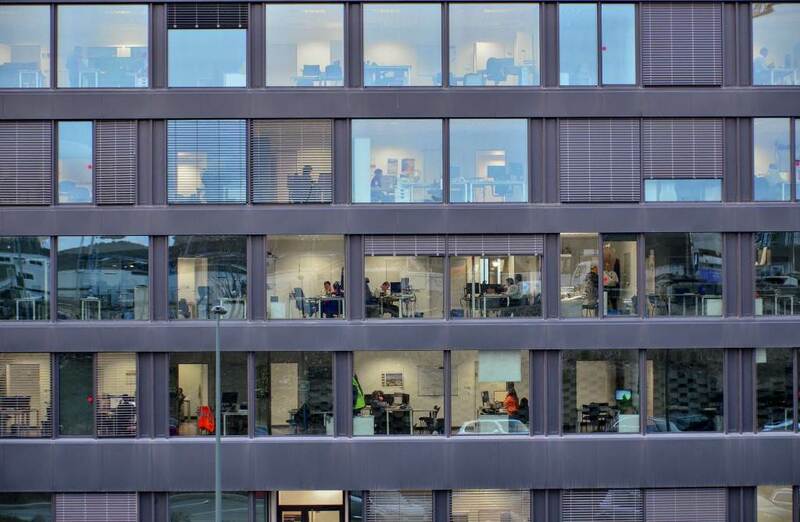 Photo courtesy of Riccardo Pedica. 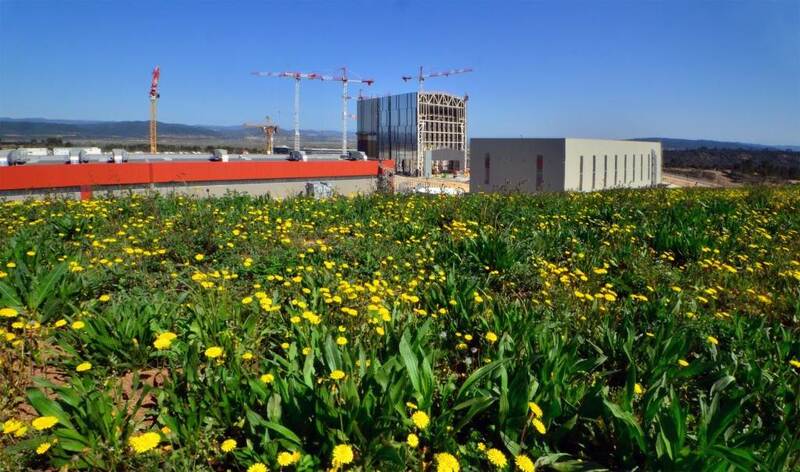 Spring has appeared on the ITER site, with green and yellow sprouting in the surrounding hills and along the platform's embankments. Taken with a powerful telephoto lens, this photo makes the French Alps look tantalizingly close. 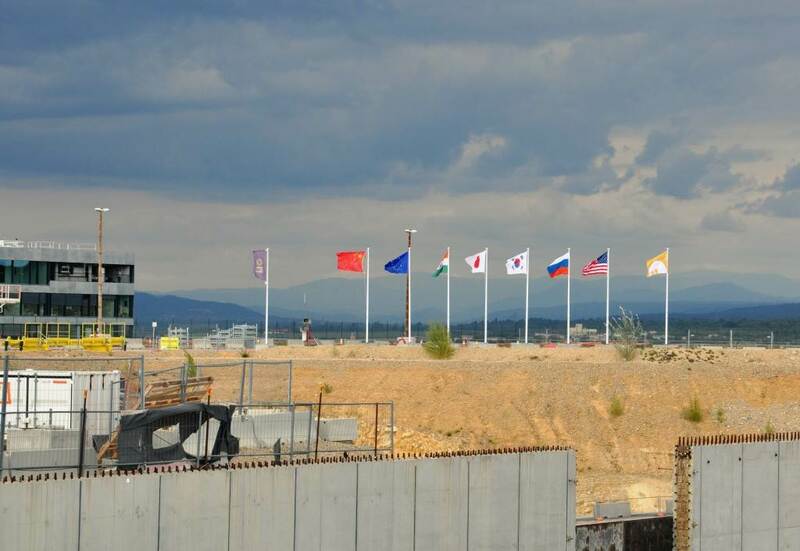 The flags of the seven ITER Members have recently joined those of the ITER Organization and the European Domestic Agency over the Tokamak Complex worksite. 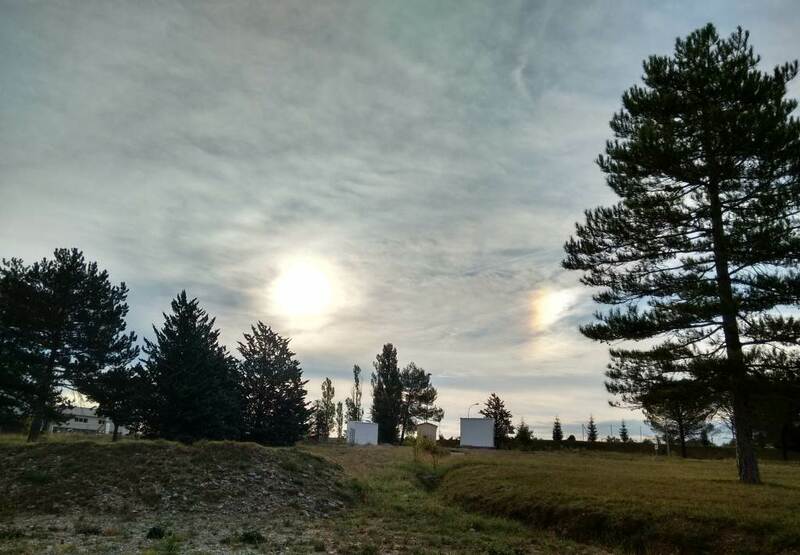 Early September, an optical phenomenon known as a "sun dog" is captured near the ITER site. This atmospheric event, caused by the refraction of light from ice crystals, produces a smaller sun to the left and right of the real orb. Pictured: the right-hand sun dog. 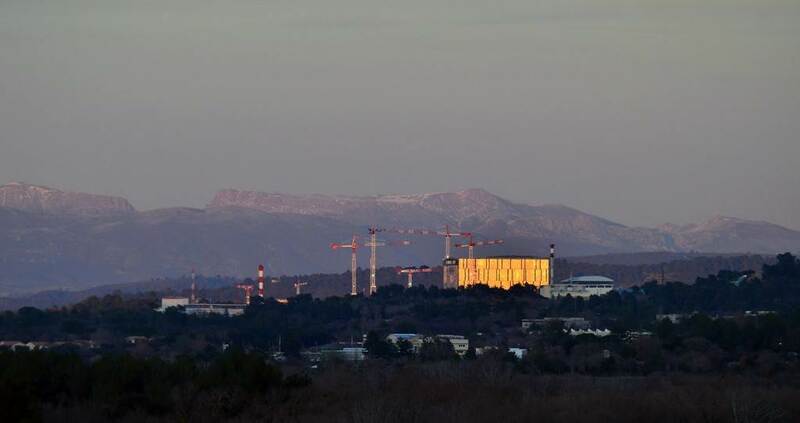 Can you see the ITER construction site? 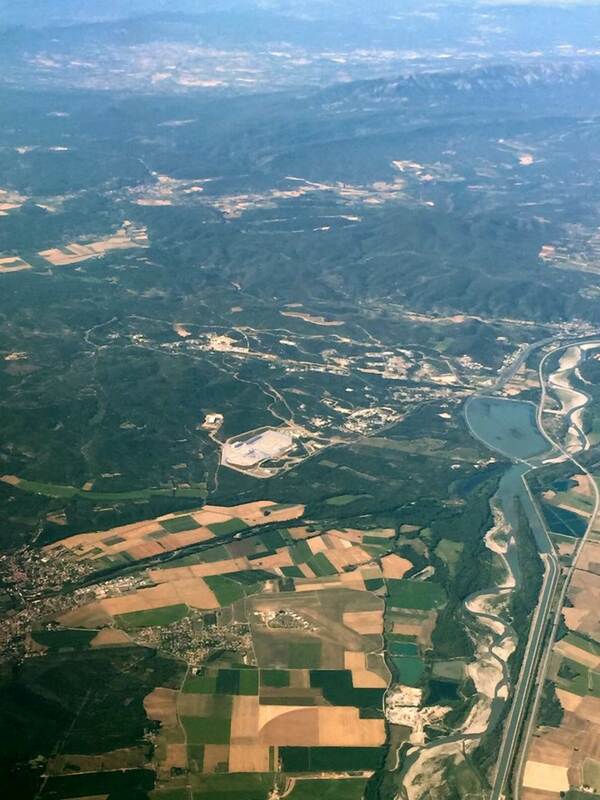 This shot was taken from the window of a commercial jetliner in June 2015. 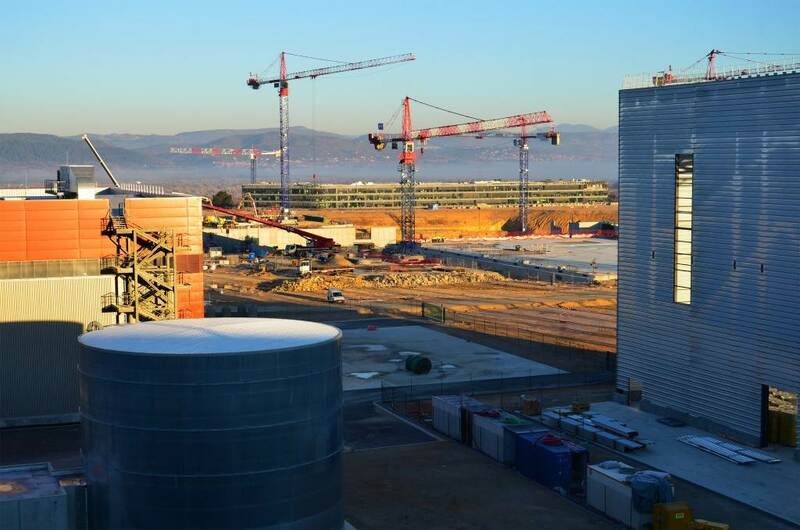 Taken on the day of the partial eclipse of the Sun—20 March 2015—this panorama shows work underway on the ITER facility. 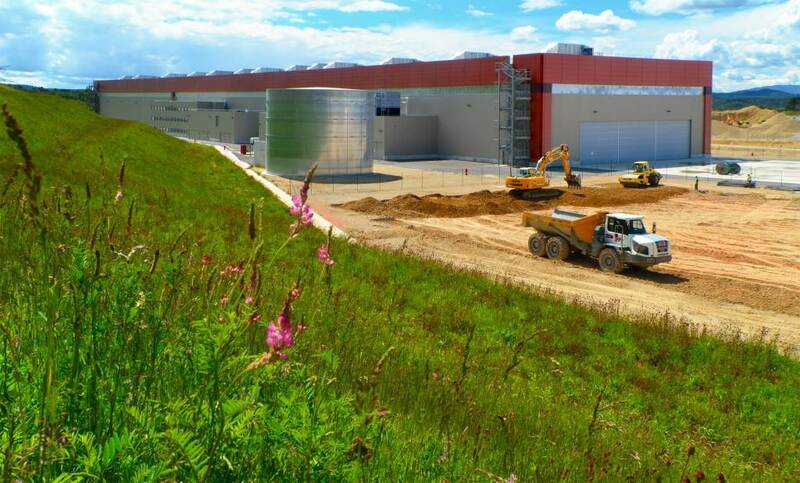 Some 1,000 workers will soon be active on site. A few days a year it happens in Provence—ranging from just a dusting to 5-6 centimetres. Snow! 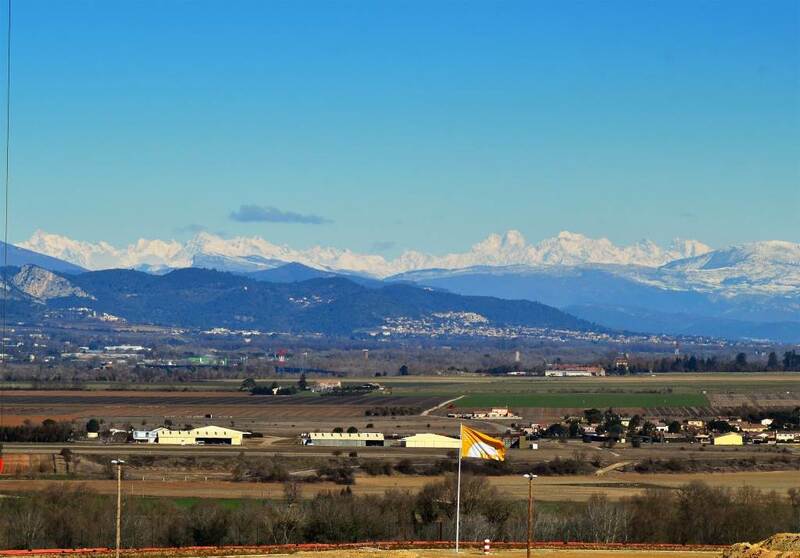 Looking toward the snow-capped Alpes on a winter day. 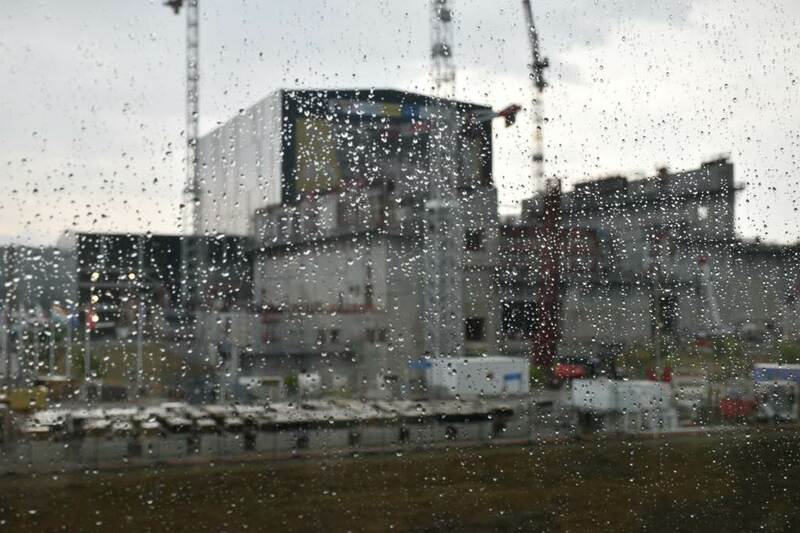 The Tokamak Complex cranes viewed from the site of the future logistics platform. 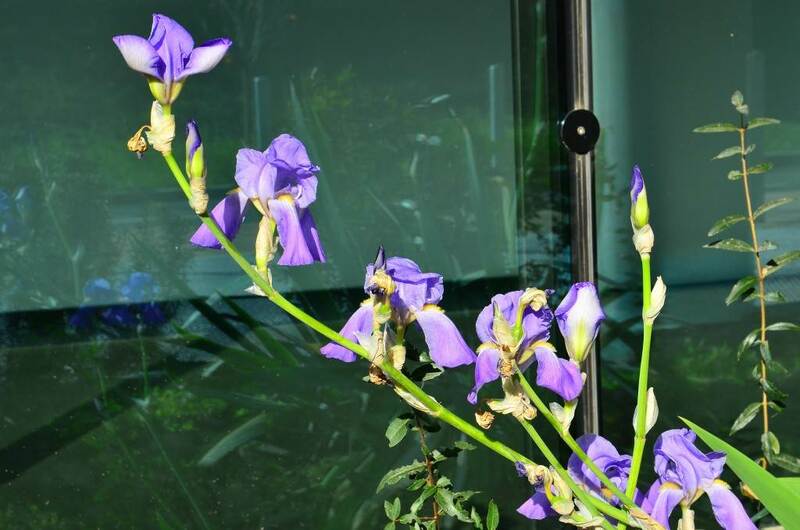 Protected from the wind, heated by the sun reflecting off the ground-floor bay windows, the irises at ITER Headquarters are flowering ... in December. 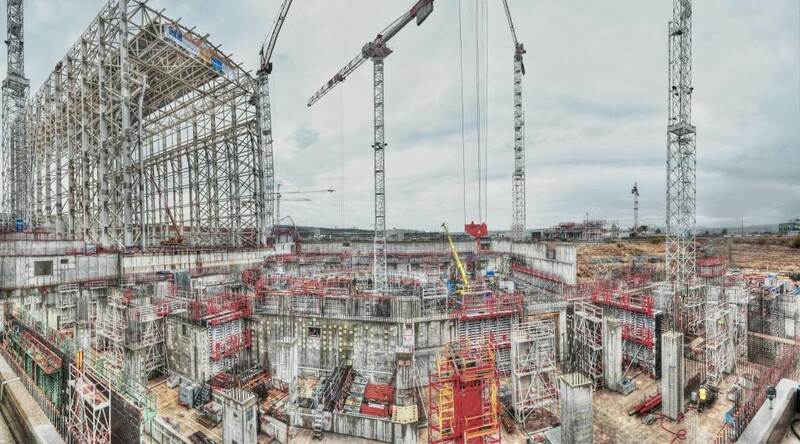 Four of five cranes are now in place around the Tokamak Complex worksite, where work begins in November on the basement-level walls. 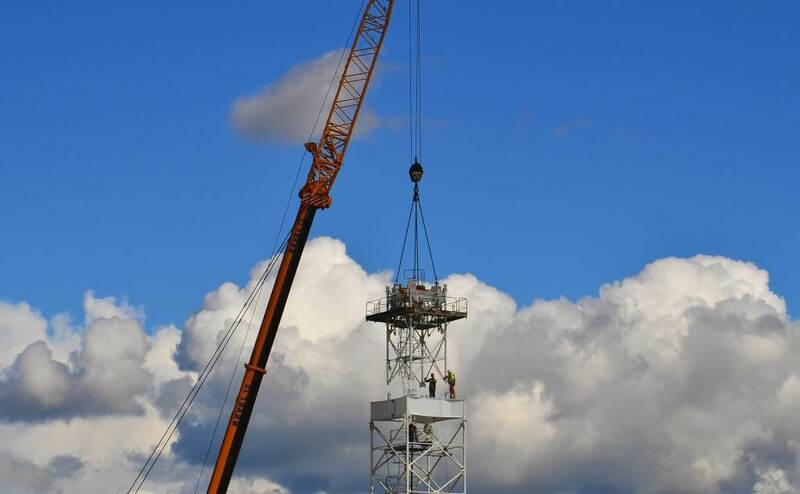 Section by section, the largest crane is assembled on the worksite. 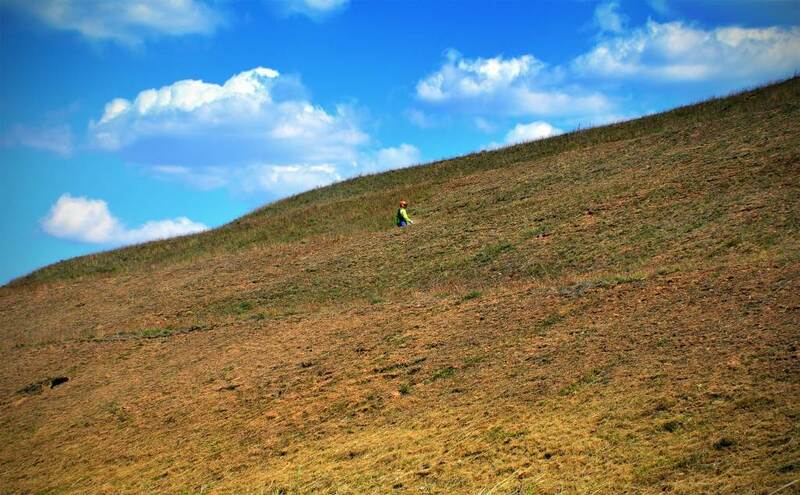 Although it looks like it could come straight out of a science fiction movie, this picture captures a rather run-of-the-mill activity: brush-cutting on the hill behind the Poloidal Field Coils Winding Facility. For the past few days in southern France, cold air descending from Iceland has been colliding with hot air ascending from the Sahara desert. As a consequence the weather in Provence has turned quite nasty with several episodes of violent rainfalls sometimes accompanied by hailstorms. 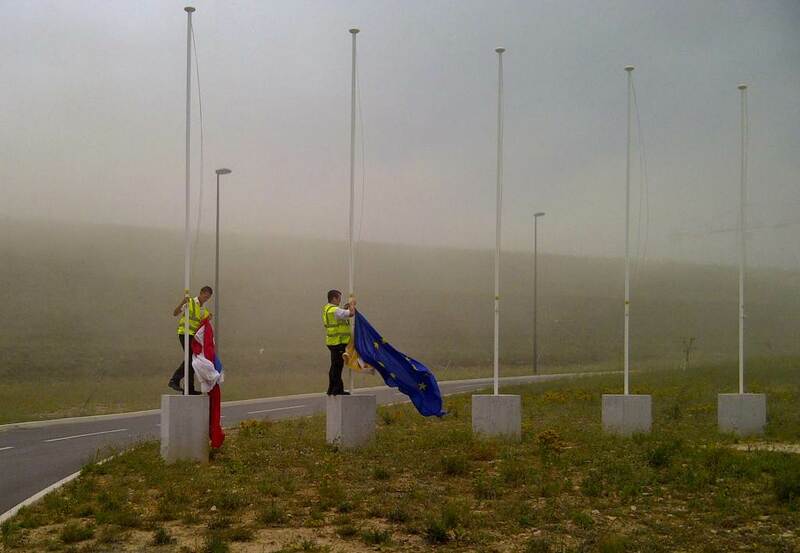 On 4 July, a strong gale blowing from the south caused a small dust storm on the ITER site. Flags had to be lowered and stored in haste and, as it was becoming quite dangerous to use the doors of Headquarters, staff was advised not to leave the building until the storm abated. 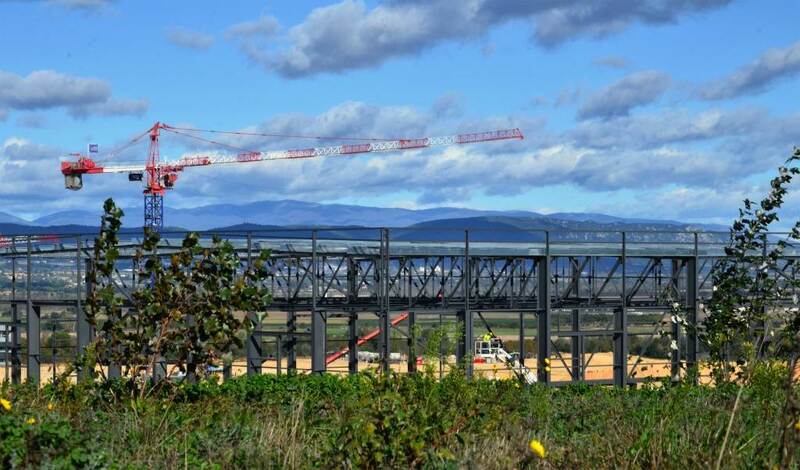 The ITER construction site, seen from the small country road leading to the village of Ginasservis. 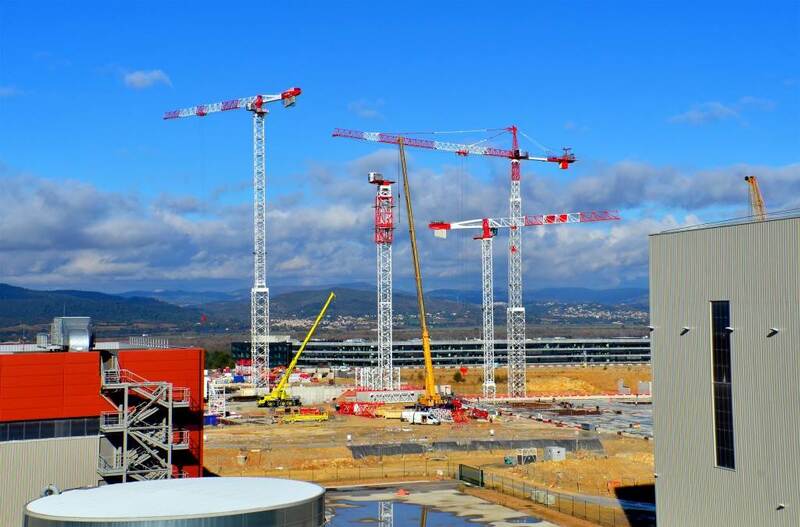 The ITER worksite on a bright afternoon in mid-January. 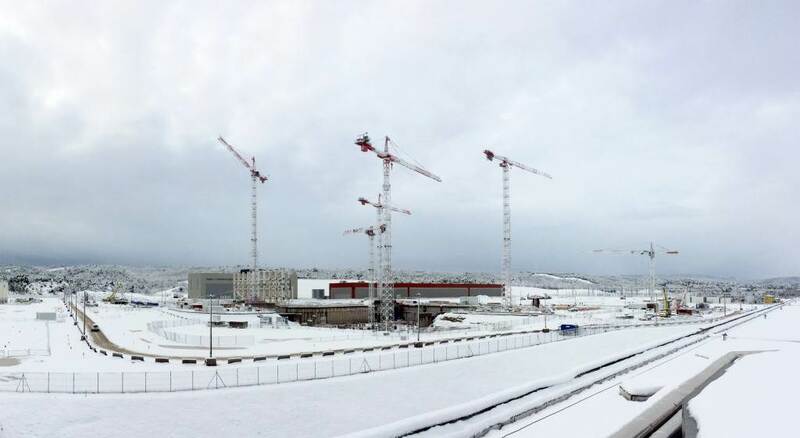 A frosty early morning scene showing the status of ITER construction at the end of 2013. 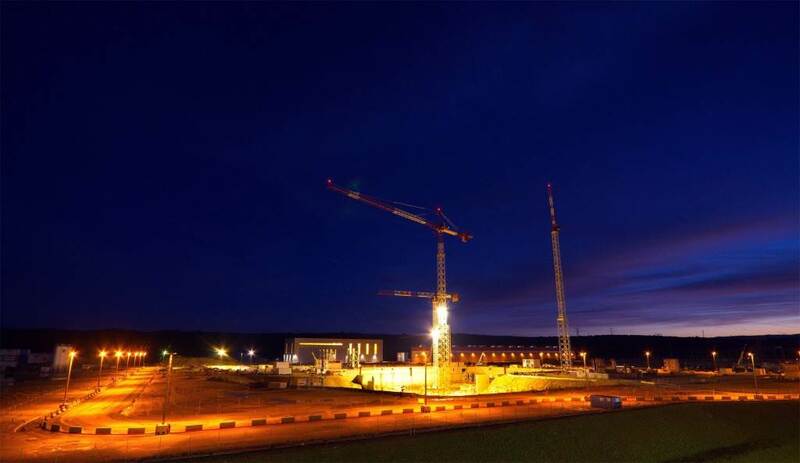 In 2014, the walls of the Tokamak Complex will begin to rise. 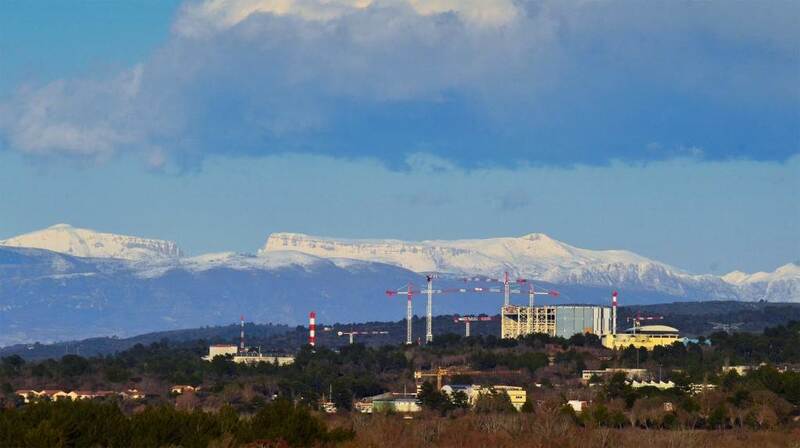 Past the frame of the Cryostat Workshop, 27 metres tall, the hills of Haute Provence shimmer in green and blue. 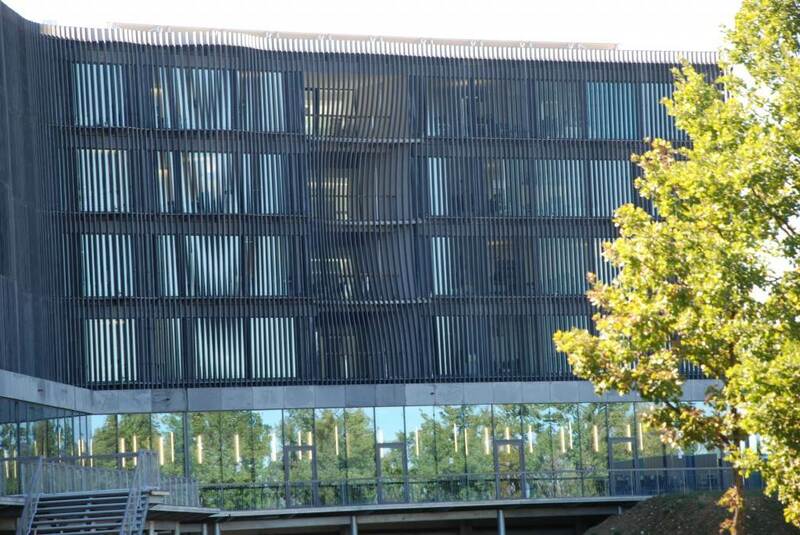 On the northwest side of the ITER Headquarters, the architect's signature slats ondulate across the facade. On a brilliant autumn day, they seem to shimmer. 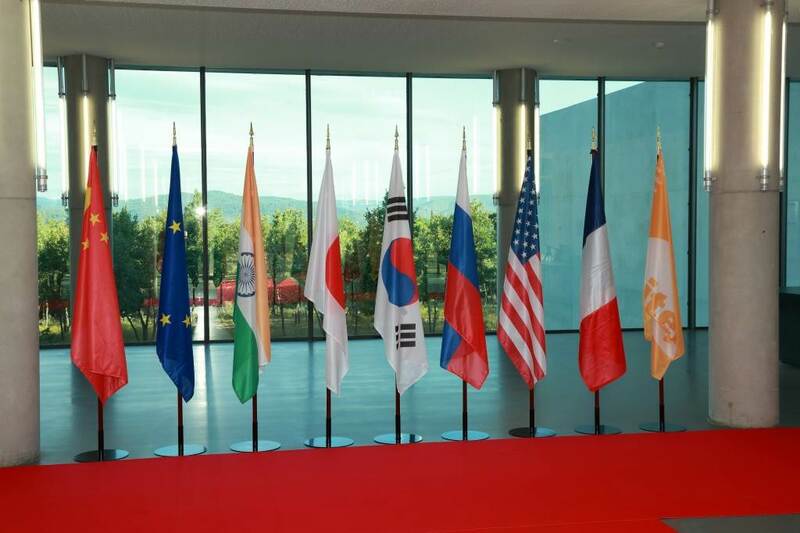 Early on 6 September 2013, before the arrival of the delegations to the ITER Council Ministerial-Level Meeting, the lobby is dressed with flags and a red carpet. 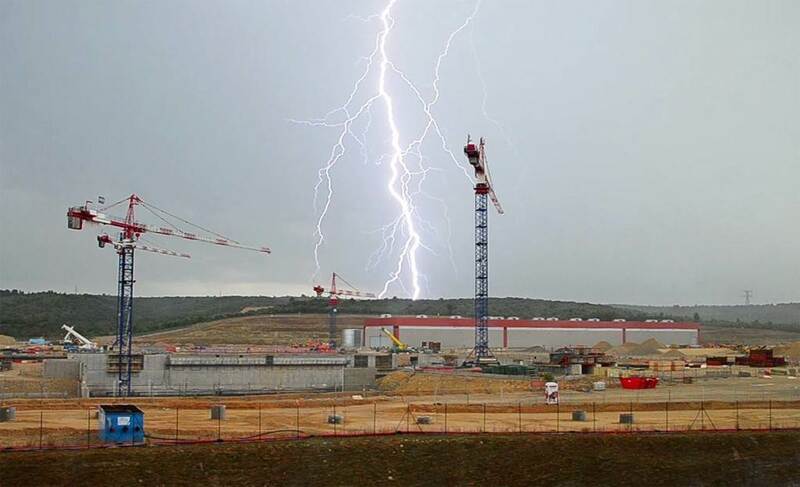 A bolt of lightning over the ITER site is captured in July 2013. Lightning is a high current electric discharge in the air that generates a ramified column of plasma. 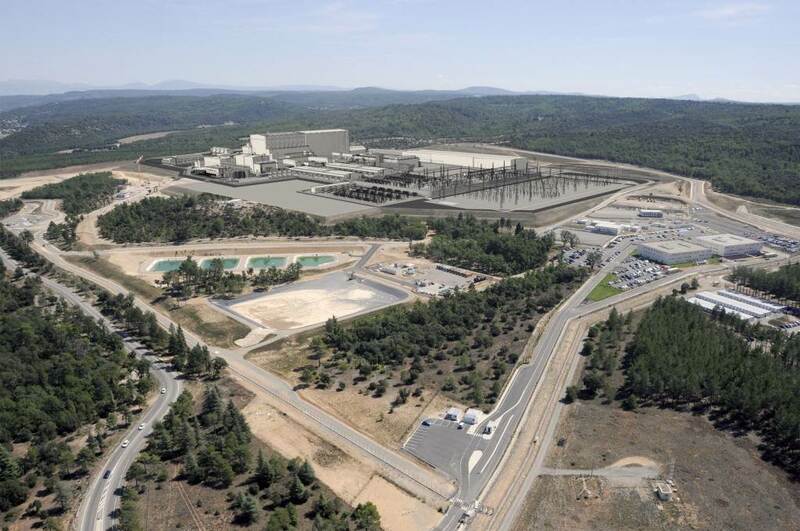 This specific bolt might have been looking for its kindred—the plasma that will be created within the ITER vacuum vessel. The place was right but the time ... some seven years too early. On the eastern corner of the platform, spring flowers are showing their colours. As the Winding Facility (red) waits patiently, work has started on a temporary workshop for the cryostat under the Indian Domestic Agency. 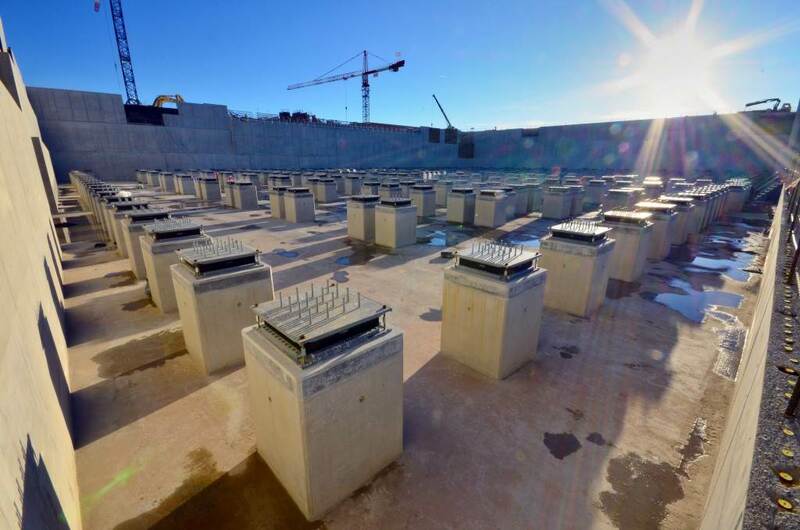 In this on-site workshop the main sections of the ITER cryostat will be assembled from 54 smaller segments. 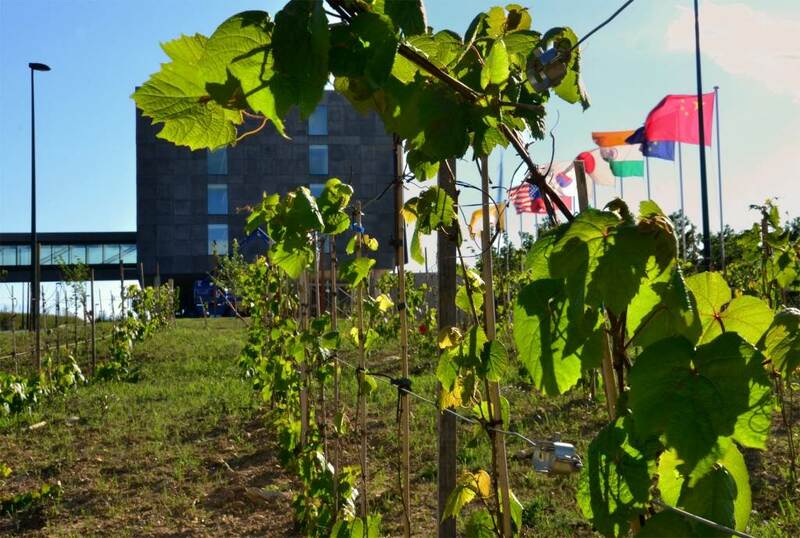 Six rows of grapevines adorn the grassy slope near the entrance of ITER Headquarters. 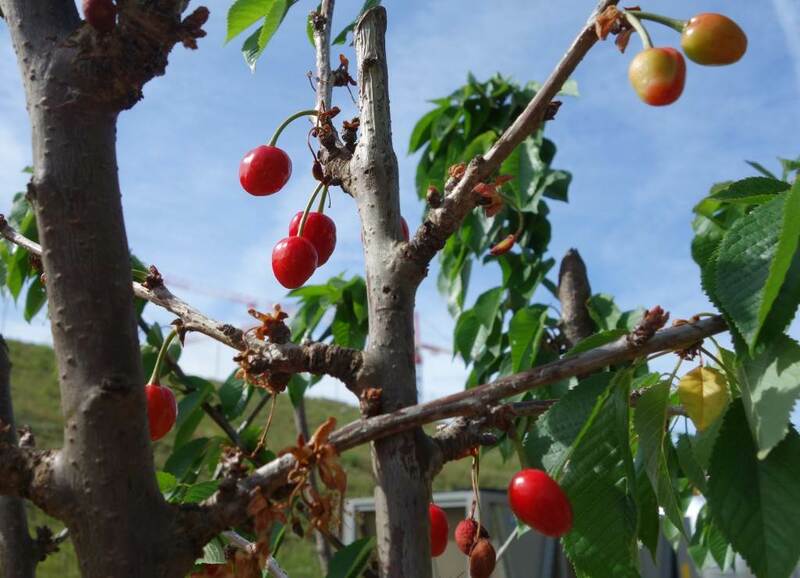 Landscapers have also planted cherry, almond, fig and pear trees. We should expect First Fruit late in the summer of 2013 ... some seven years before First Plasma. The seismic columns and pads are already taller than the average person, but late in the day their height seems magnified. 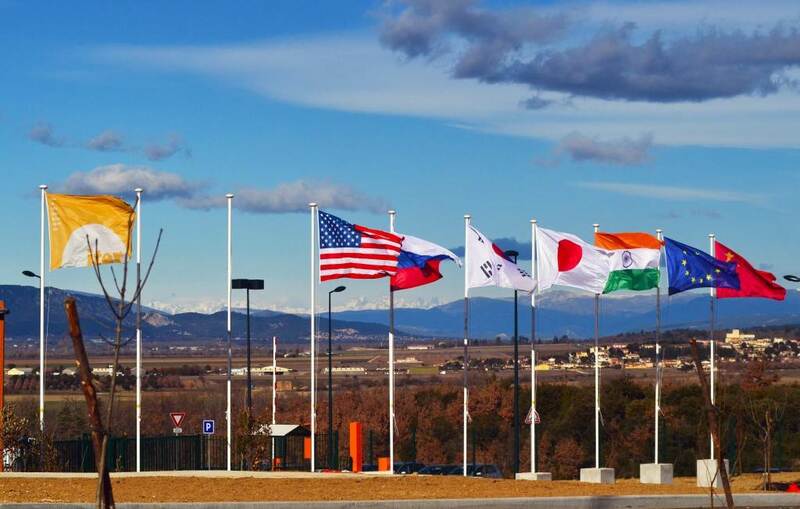 ITER Member flags, displayed at the entrance to the recently inaugurated ITER Headquarters building. 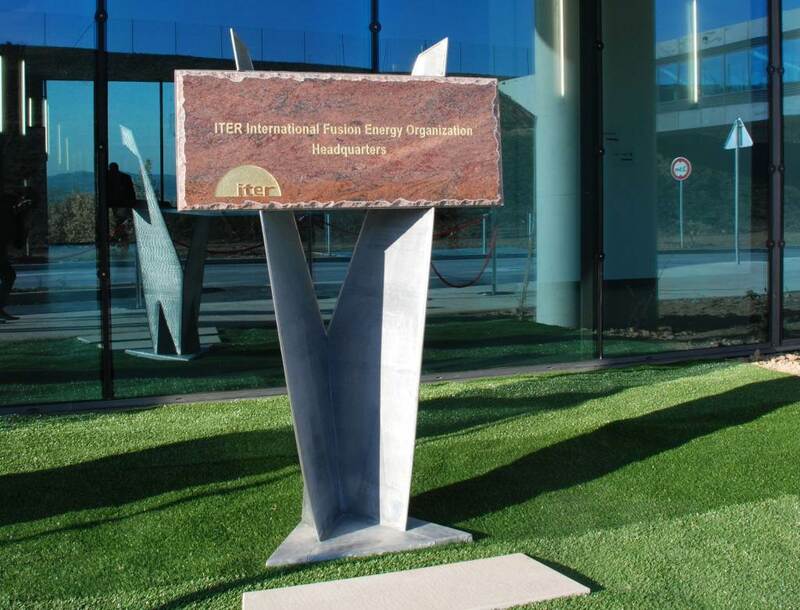 A new ITER Headquarters name plaque stands at the entrance, following the building's inauguration in January 2013. 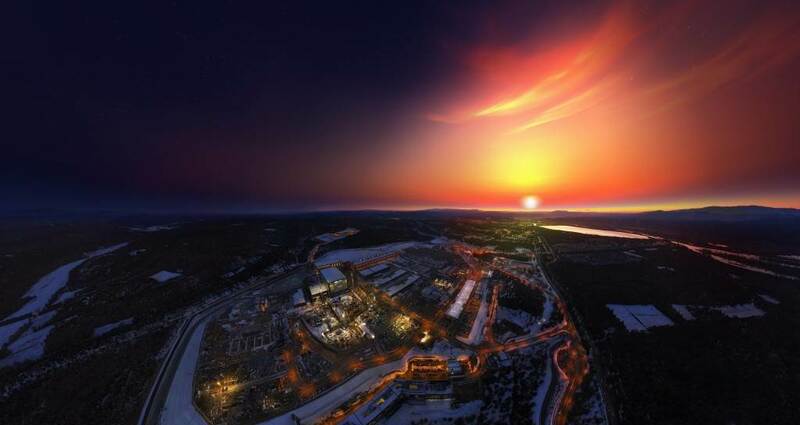 The sun rises in late December 2012 over the Tokamak Pit. 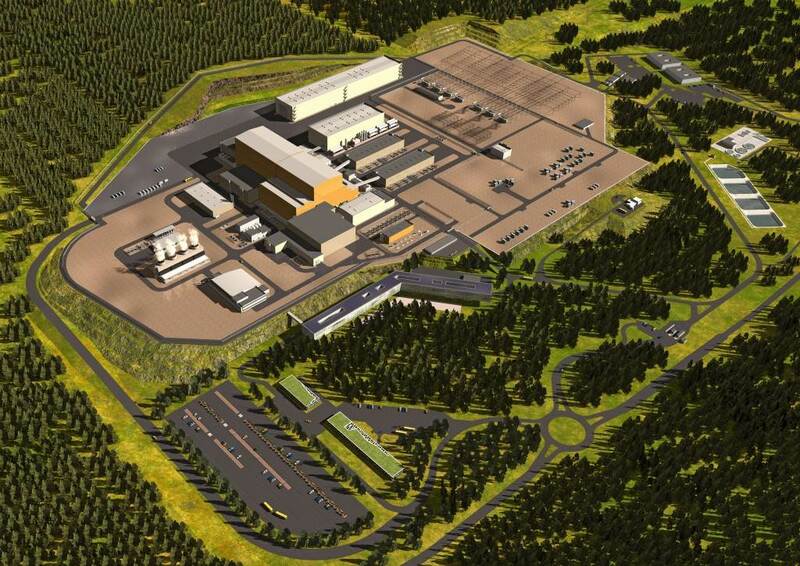 Late 2013, civil work will begin on the 360,000-tonne, three-building Tokamak Complex. 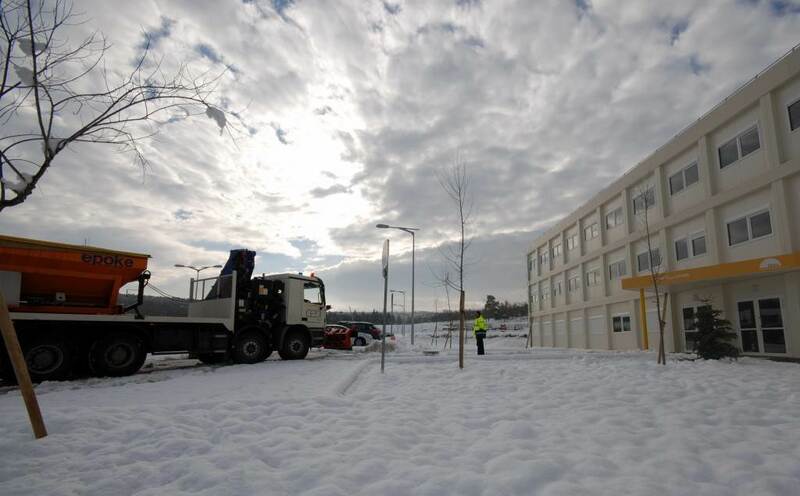 It's not often that it snows in Provence, but on Friday 7 December 2012, due to exceptional weather conditions, the work on the site is halted early. 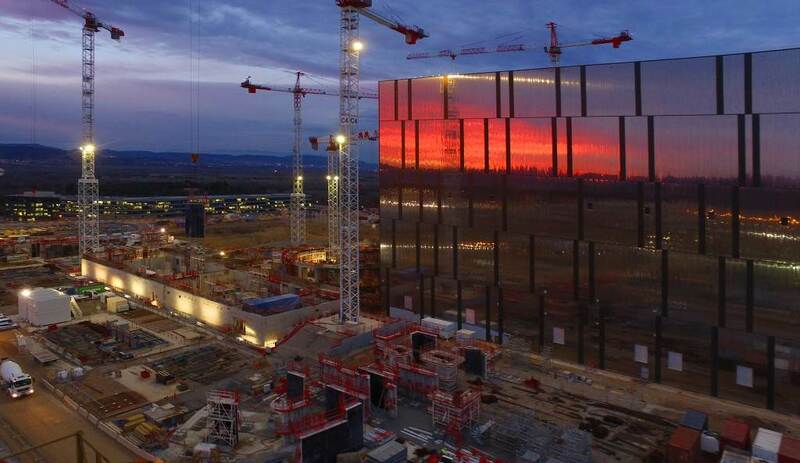 In the sweep of an eye, it's possible to take in the four building projects of the ITER site: the Poloidal Field Coils Winding Facility in red (completed); Assembly Building foundation work (cranes); the Tokamak Complex Seismic Pit (completed); and the ITER Headquarters on the far end of the platform (completed). 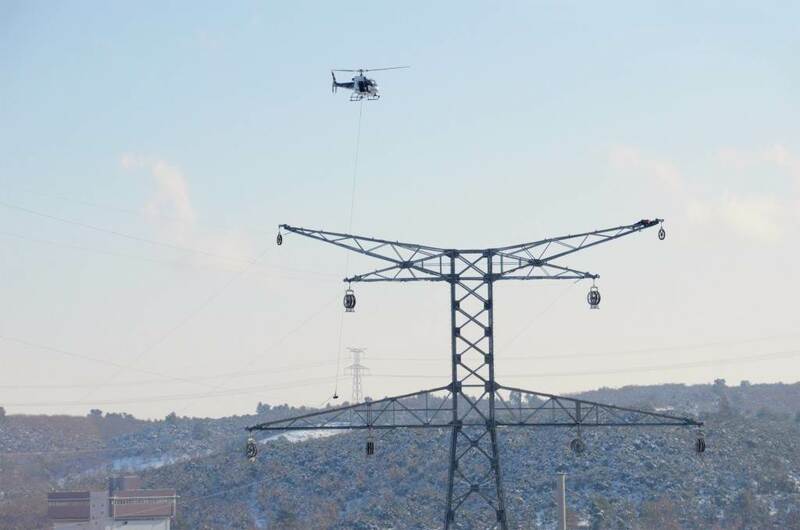 Bringing the 400kV power line over the hill from Cadarache to the ITER site will take 12 pylons like this, covering a distance of six kilometres. 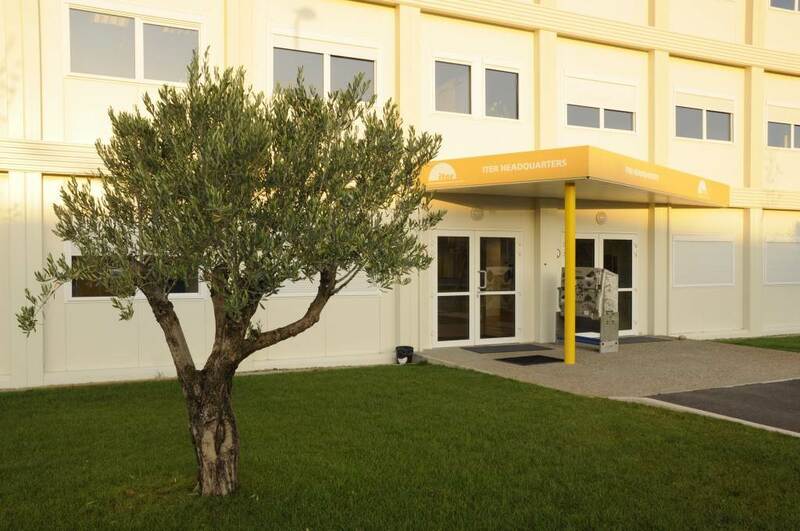 A bit of landscaping around the ITER Headquarters makes the temporary building a little more welcoming. 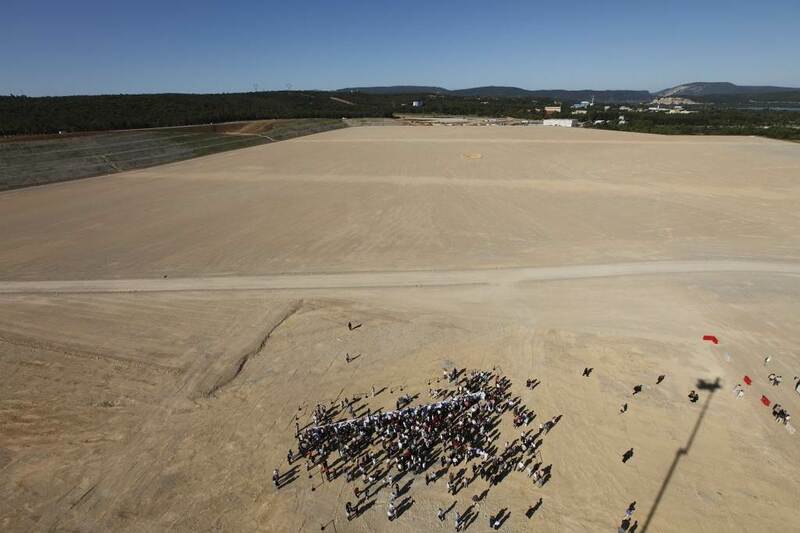 Staff assemble in May 2009 on the exact spot of the future ITER Tokamak for a historic staff picture, taken by crane. 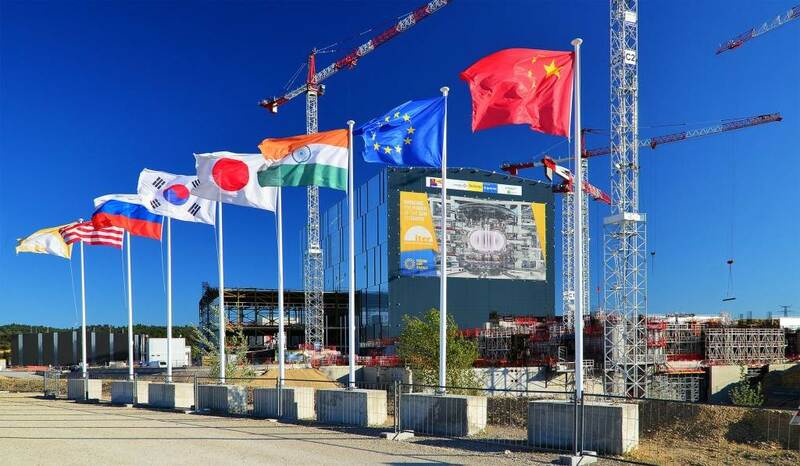 Over 400 people work directly for the ITER Organization. 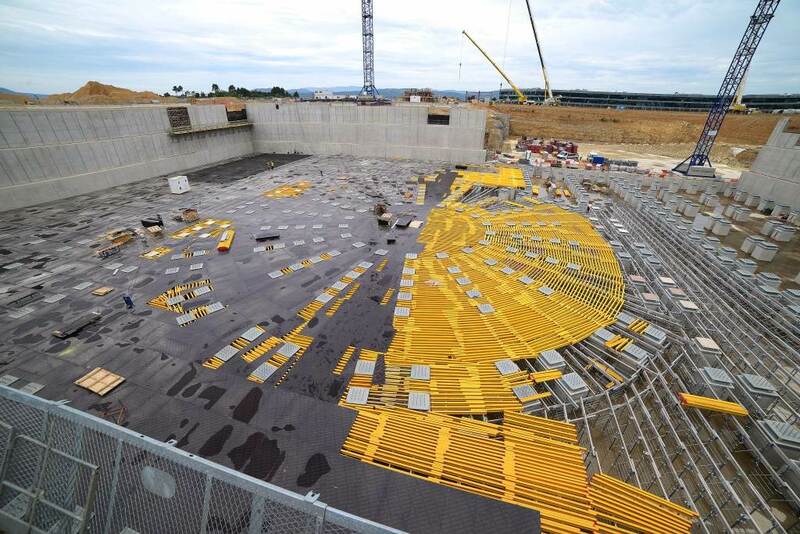 During the pause between site preparation activities and building construction, the ITER platform looks flat enough to roller skate on. 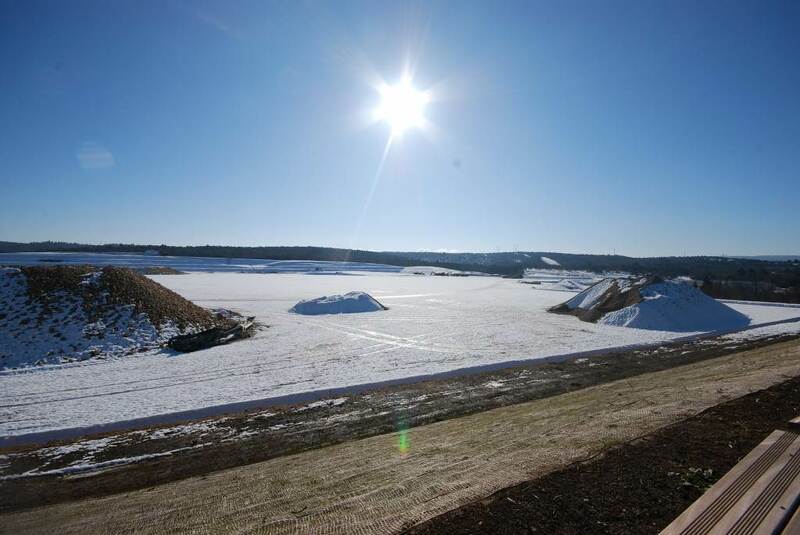 A wintery scene on the ITER platform, January 2009. 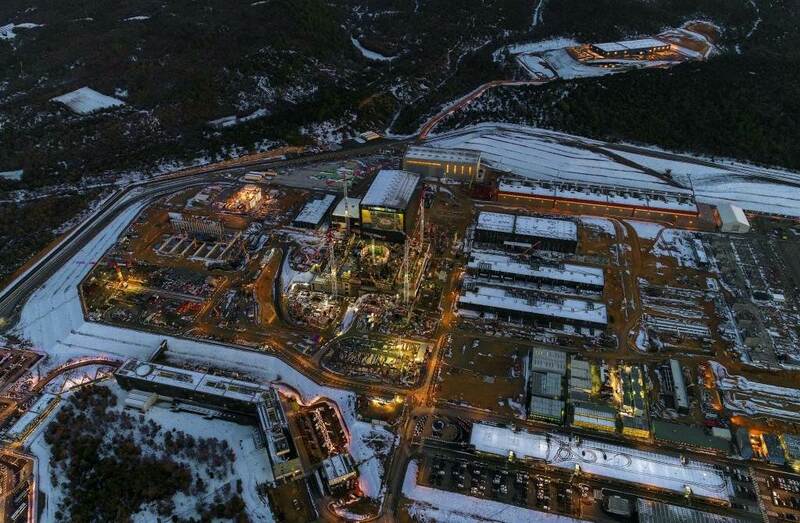 An exceptional event in Provence, the snowstorm in January 2009 made access to the ITER site difficult for three days. 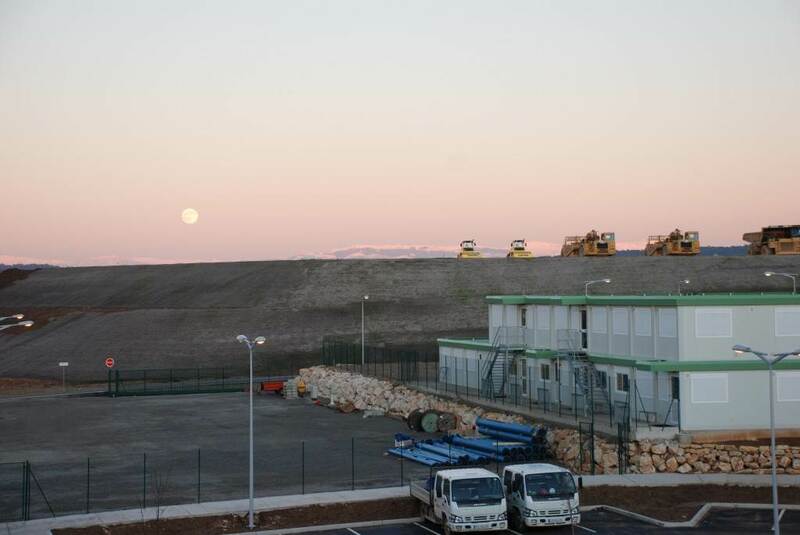 The moon rises over the still worksite in December 2008. 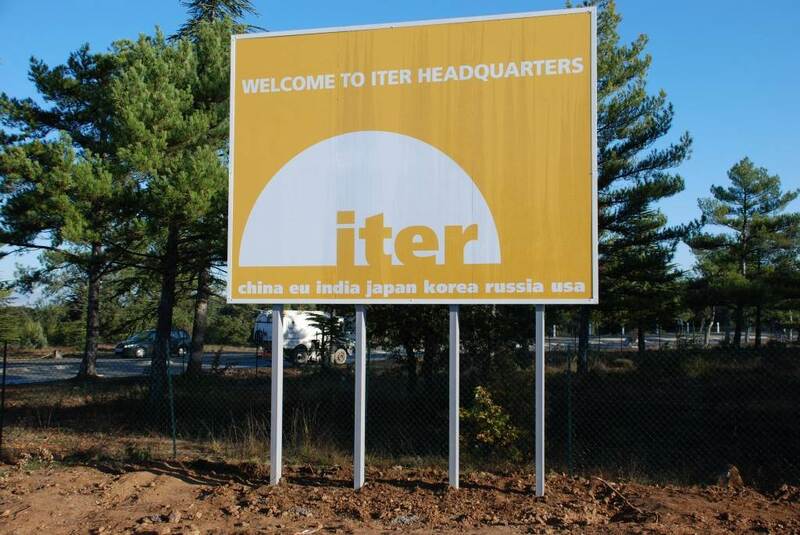 At the 2008 entrance to the ITER site, visitors are greeted by the ITER logo: "The way to new energy." 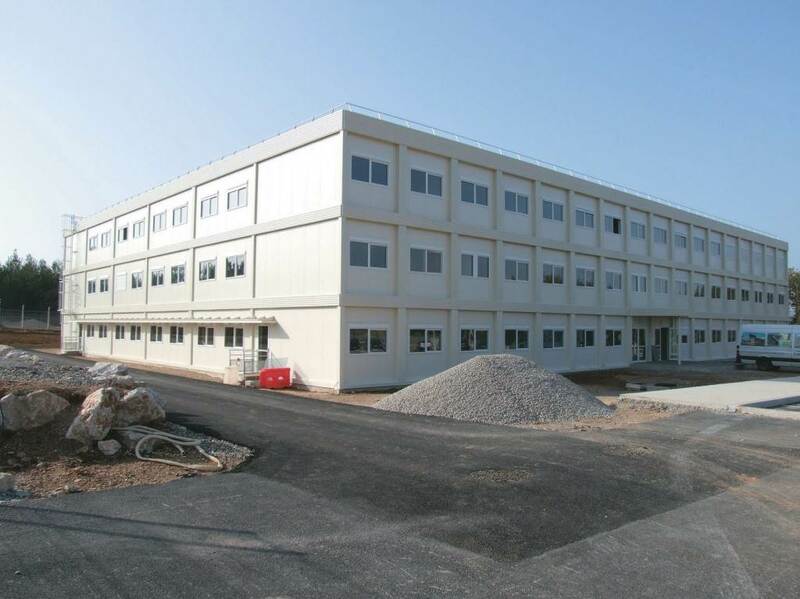 In November 2008, the temporary ITER Headquarters is (nearly) ready to receive 300 ITER employees. 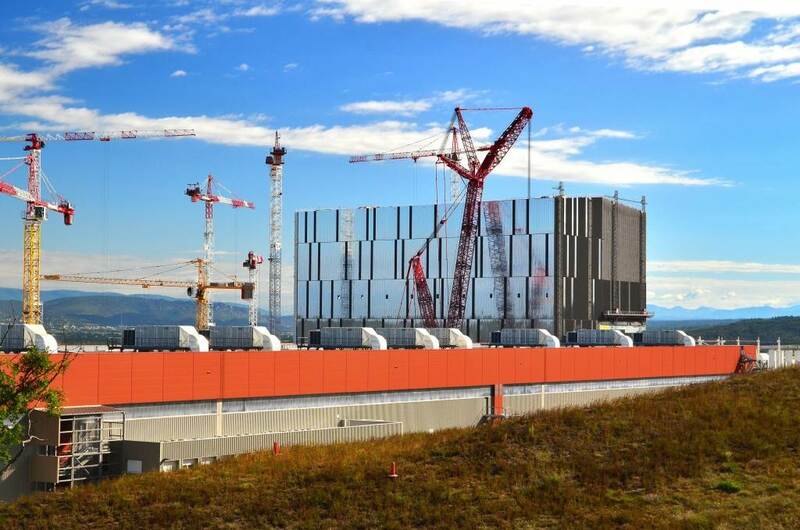 An artist's impression of what ITER will look like. 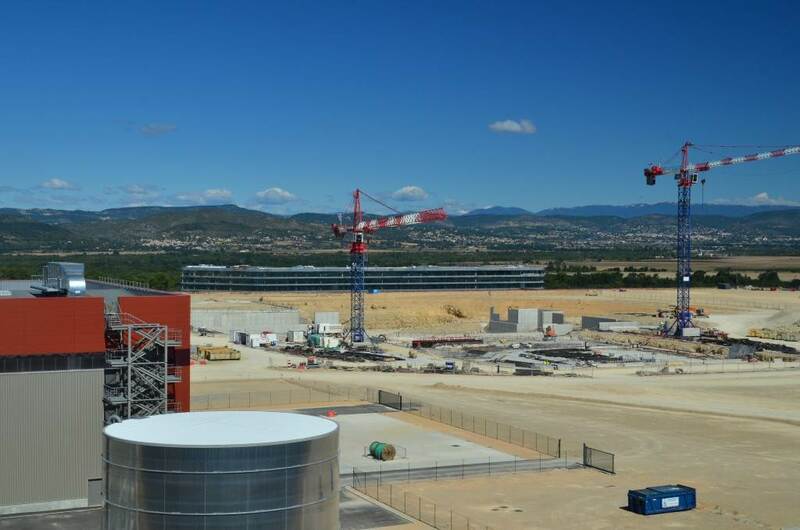 The large orange building in the centre is the Tokamak hall, the long building at the top is the Winding Facility for the Poloidal Field Coils. 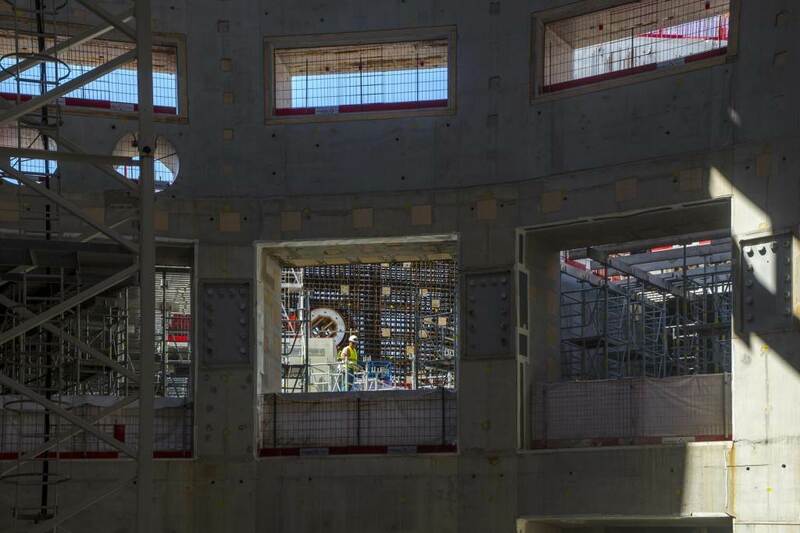 The Tokamak Building will be the core of ITER, where fusion experiments are planned to begin in November 2020. 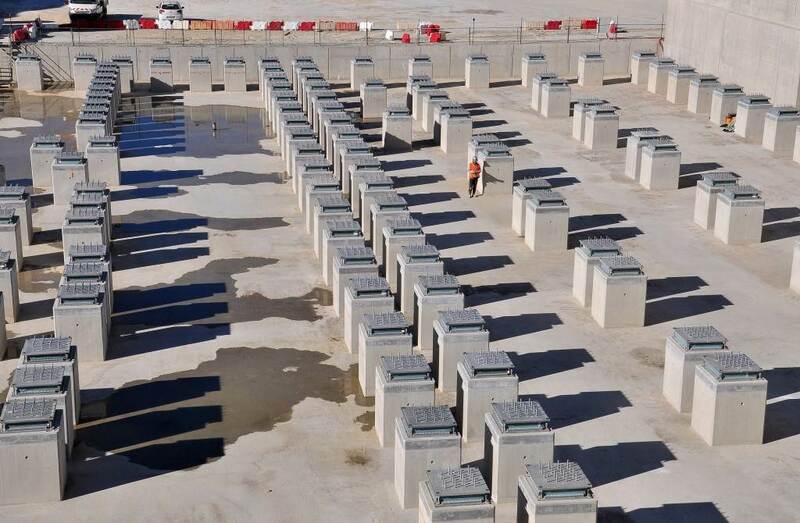 The reinforced, six-storey concrete structure will be 73 metres high (13 metres below the platform level and 60 metres above).